A Toilet No More: NBA Team Changes Arena Plan After Jokes Swirl In : The Two-Way The Golden State Warriors have revised their new arena's design, after critics said that from overhead, at least, the building looked just like a toilet with the seat and lid down. A rendering of the planned Golden State Warriors arena drew ridicule from people who said it resembled a toilet. 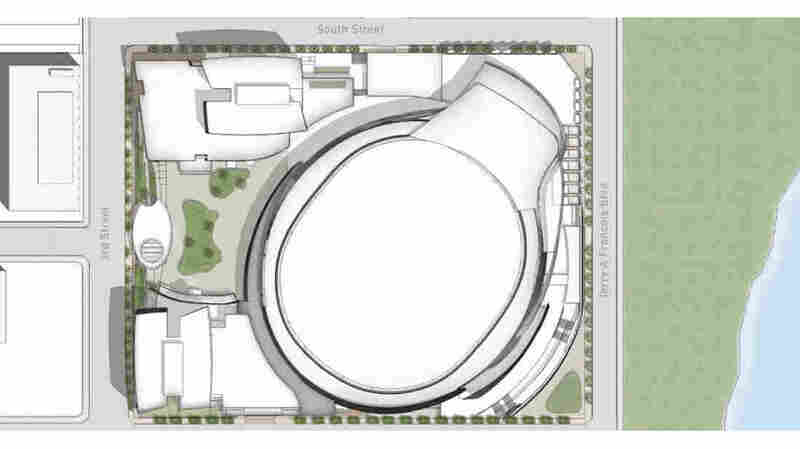 The Golden State Warriors have revised their new arena's design, after critics said that from overhead, at least, the building looked just like a toilet with the seat and lid down. In the latest change in a high-profile move from Oakland to a spot near the Golden Gate Bridge, the Warriors released images of a new design today. "We are trying to flush the toilet bowl forever out of people's consciousness," Warriors arena consultant Jesse Blout tells the San Francisco Chronicle's Matier & Ross. The new design for the Warriors' arena in San Francisco's waterfront was released Wednesday. The Warriors have gone through several designs as the team plans to leave Oakland and return to San Francisco. 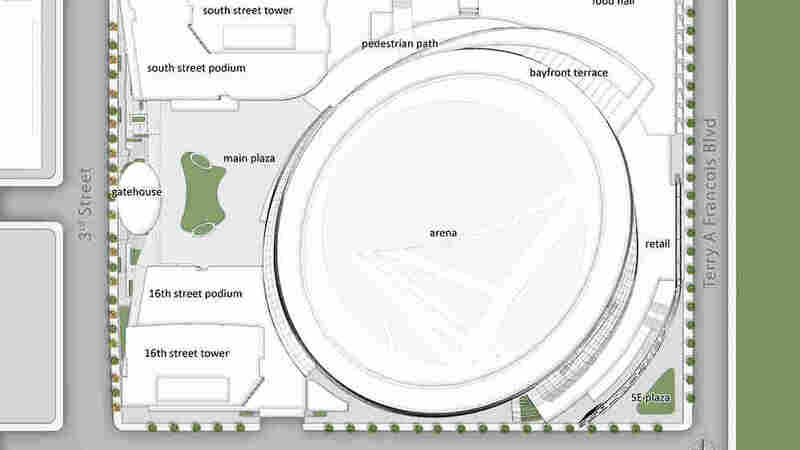 As member station KQED has reported, the arena design has included valet bike parking, a public ramp, and a kayak ramp. A chart on the Warriors' website tracked the evolution of the designs by MANICA Architecture – but it seems that the team stopped noting the changes after reaching Version 3.0, last November.